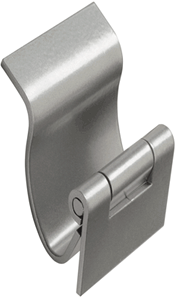 Monroe Hinge is equipped to form the hinge leaves to almost any desired shape. The usual Formed Hinge, Fabricated Hinge, Laser Cut Hinge purpose in bending is to facilitate shaping the hinge to the contour of the door and door-post, or to obtain a certain arc in which the door will swing. We are also able to add-on parts by welding, forming or stamping. 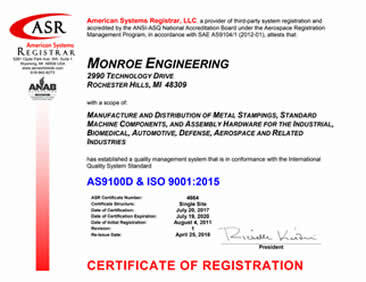 Monroe Hinge & Stamping Company is ready to work with you on developing the right formed hinge for your application. All of our formed hinge projects start with a question, a print or a sketch. We are ready to provide you with the support your need to complete the design and manufacturing and delivery of hinges for your project. Are you looking for Formed Hinges?